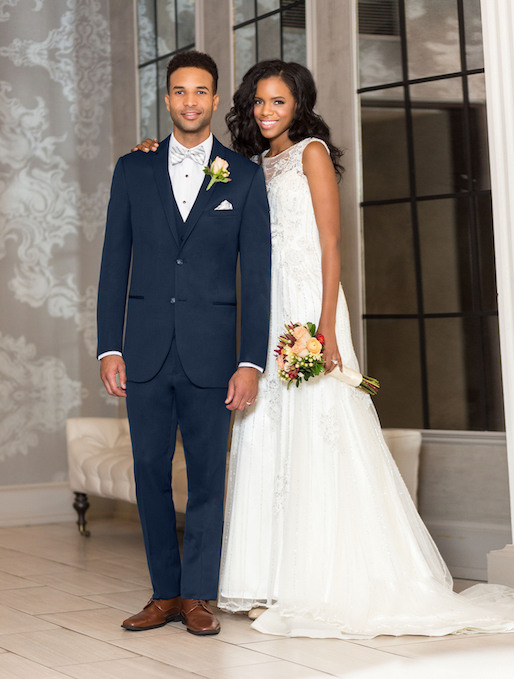 The trim and tapered fit of the Ultra Slim Fit Navy Sterling Wedding Suit fits close to the body for an updated look. It’s tailored in lightweight Venetian Super 130’s wool and features a self-framed notch lapel. Available with ultra slim fit pants that offer belt loops and buttons to accommodate suspenders. Also available in slim fit styling to accommodate all the members of your party.